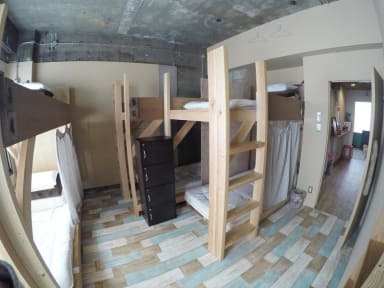 Good Neighbors Hostel, Kanazawa, Japonia : Rezerwuj teraz! Hang on a second, never miss the basics! 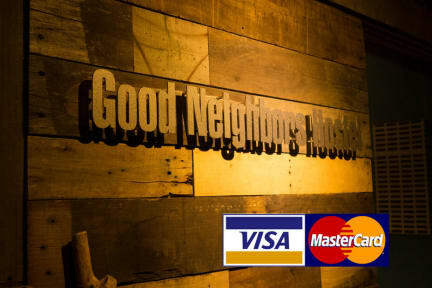 Here are 7 reasons why you should stay at Good Neighbors Hostel. *Great Location right nearby JR Kanazawa station and Kanazawa bus terminal (Only 3 minutes walk). * Comfy bunk beds with a thick bed mattress (Not Japanese futon that makes your back pain), a reading light and power sockets. * Free laundry - Using washing machine is always free of charge. No wash No travel. * Luggage storage before check in and after check out. * Credit cards are accepted. * Free wifi is available at all floors. * We have a nice balcony on the 3rd floor. * No elevator in the hostel and some private rooms are located on the 3rd and 4th floor. * There are only 2 showers in the hostel that make you wait for a while sometimes. * We are a rather small hostel so there are not huge space both in common space and rooms. The place is run by a former backpacker so that we are really keen to make your stay here great! So what are you looking for? Come and Enjoy at Good Neighbors Hostel.